What if you could learn from 3 multi 7-figure earners and have them walk you through the exact steps they implement in their business daily, to build a thriving network marketing team that duplicates? 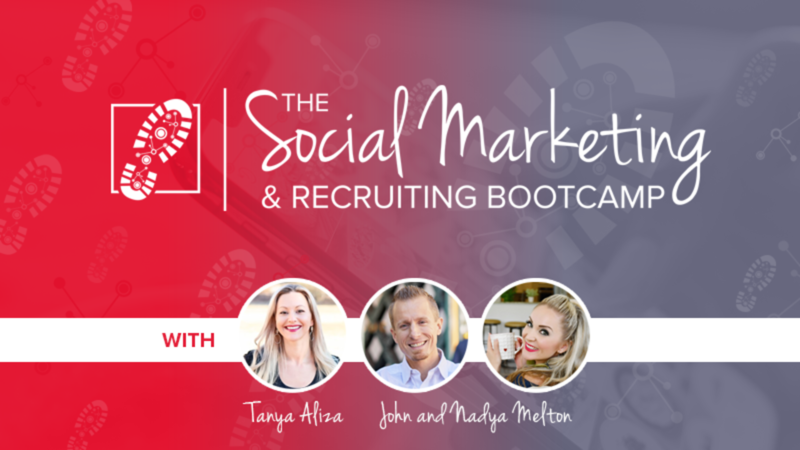 Inside the member area, you'll get our Bootcamp Style Video Modules on using Social Media to magnetically attract prospects and leads to you 24/7 AND effectively turn those people into new customers and teammates. Complete with a total of 8 Video Modules and action steps to get your the big results FAST! Bonus #5: Curating Curiosity: The Ultimate Guide to Posting for Profits PLUS 8 additional worksheets and script books.